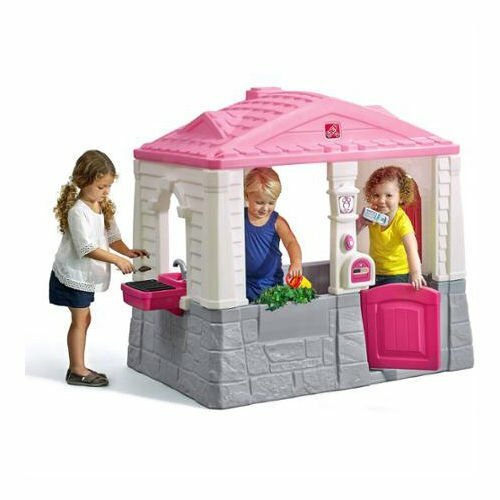 This cute and charming Step2 Neat & Tidy Cottage, Pink will make playtime a delight for any little one. Kids can travel to the quaint English countryside without leaving their own backyard! 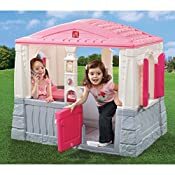 Made for kiddos who love all things pink, this Step2 cottage playhouse has the look and feel of a real cottage. 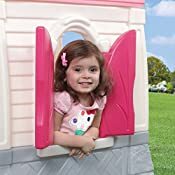 Perfect for hosting tea parties and social gatherings, this kid's playhouse is a wonderful choice for any little boy or girl. 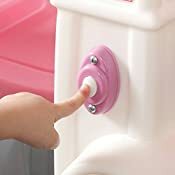 With a life-like kitchen table that has a faucet, molded-in seat, a working electronic doorbell and window shutters that really open, this cottage playhouse makes youngsters feel right at home. Age Range: 18 months and up. Two children can play inside. . Durable and sturdy plastic construction. . Kitchen table with swivel faucet. Requires two AAA batteries (not included). .
Dimensions: 51"W x 35"D x 46.5"H. . 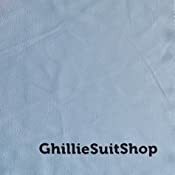 Send us message with your order id if you want the cleaning cloth. We will send it separately via USPS economy shipping for FREE. It is good for cleaning jewelry, glass, metal.